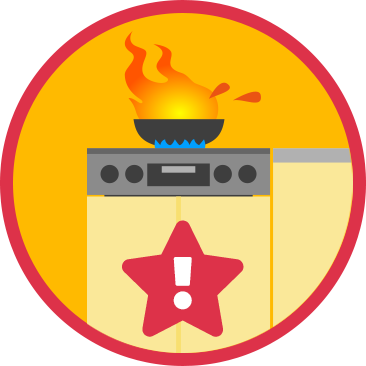 Most kitchen fires occur when people are distracted or leave things unattended. 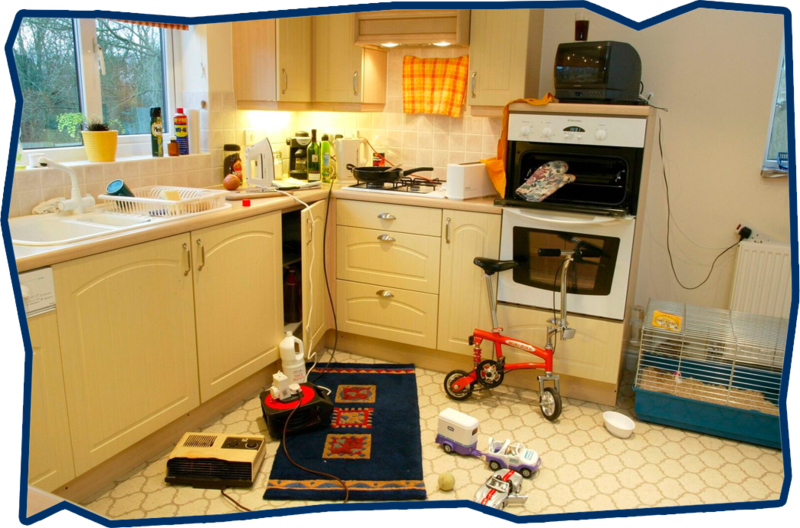 Never use a toaster under a shelf or kitchen cupboard – pull it out from under the cupboard when in use. Don’t hang wet or damp tea towels on the cooker to dry. Dirty grill pans and ovens cause fires. Help keep them clean. 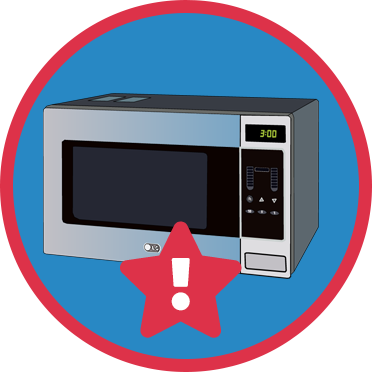 When using a microwave read the cooking instructions carefully, ensure you don’t put in any metal objects. 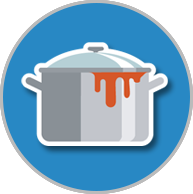 Kettles can cause serious burns from the steam, make sure you don’t lean over the kettle when it’s boiling. Try not to panic and don’t take any risks. Never throw water or use a fire extinguisher. Turn off the heat - If it's safe to do so. Leave the kitchen, closing the door behind you. Ensure everyone else in the home is out too. Don’t go back inside for any reason. Once you are out safely call 999 and ask for the Fire Service.